Long-lasting, varied light and extremely low maintenance costs. 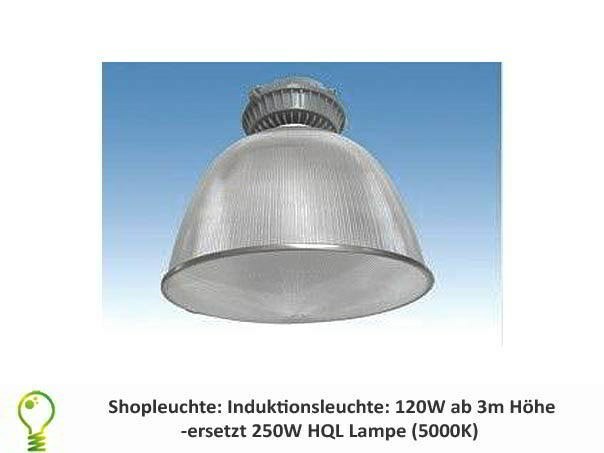 We offer this induction-light in 2 different versions with 120w as well as 200 watts as a substitute for existing 200 W or 400 watts HQL-/HQI lights. This induction-light is ideal for the application in production halls, cool-storages, warehouses or store bars from 6-metre height onwards. In the long-term application induction-lights are used everywhere where high reliability is demanded and access to the to the lamps is difficult or causes high maintenance costs. This optimised shop light is ideal for the application in the area of stores and shopping-malls, requiring an optimum product presentation combined with a high degree of energy efficiency.The polycarbonate prism reflector provides a very nice light distribution. A high portion in scattered light and a wide light dispersion make the light the ideal solution in sales- and presentation areas.In the direct comparison the viewer recognises the substantially improved luminous qualities towards HQL lights. 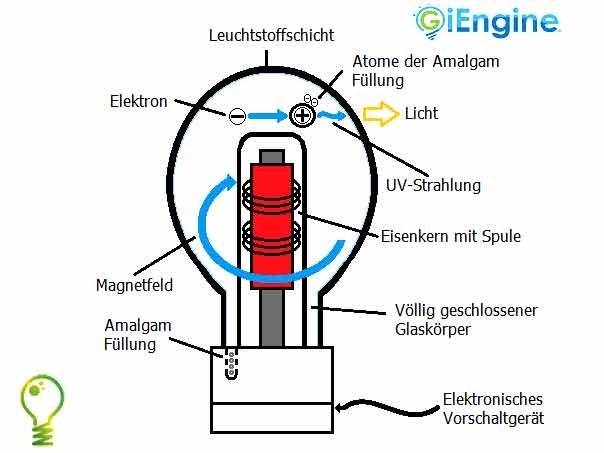 Additionally induction-light generates more usable light for the eye than comparable conventional lights. Long-lasting, varied light and extremely low maintenance costs. We offer this induction-light FP as 120 W as well as 200 watts version to substitute with existing 250 W or 400 watts HQL-/HQI lights. 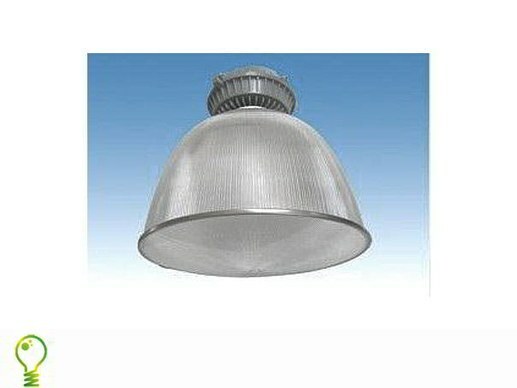 The light can be used from ceiling heights of 3 metres upwards. In 24-hour ongoing use the life span of the induction-light is around 7 years. Frequent luminous changes are obsolete. With a light output of 75 lumens / watt and a very good colour rendering, induction lamps deliver a light colour of 5000 Kelvin one in comparison to the HQL lamp an improvement and better lights in all areas. The cost saving varies between 50-60% in comparison to the HQL technology. 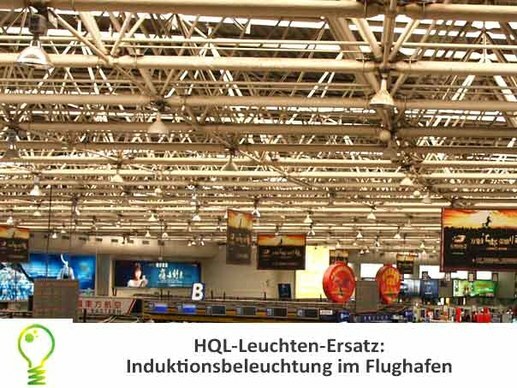 induction-lights may be produced and sold after 2015, because their are compliant with the regulation No. 245/2009.